The Harrod Sport ® 7 v 7 Freestanding Aluminium Football Posts 12ft x 6ft have a fixed non folding side frames and a diagonal brace. 2 x Freestanding Aluminium Goal Posts 12ft x 6ft. 4 x 'U' Peg Grass Anchors and Lock on Net Hooks. 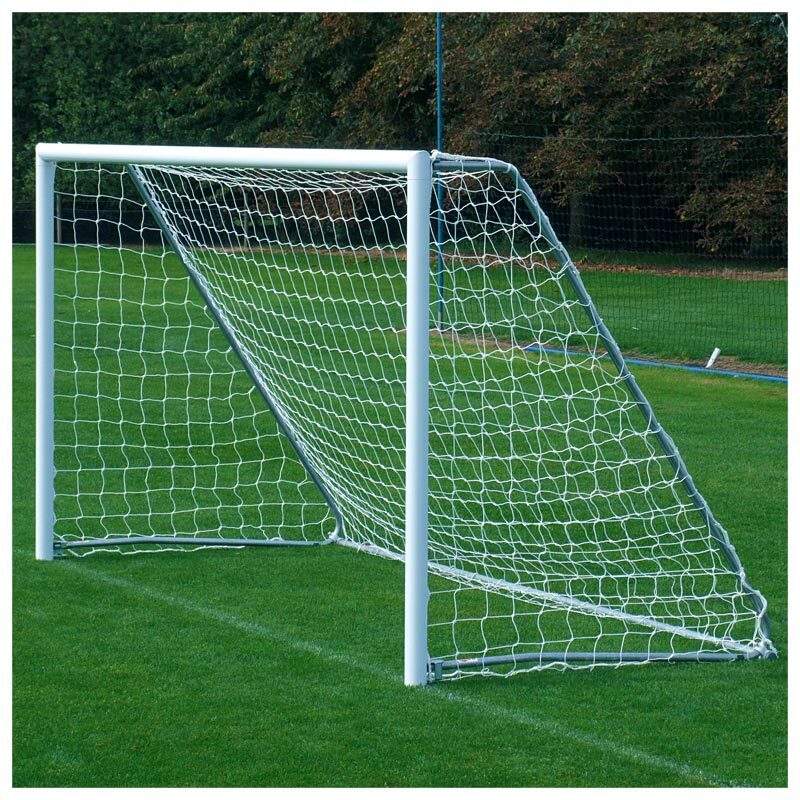 1 x Freestanding Aluminium Goal Post 12ft x 6ft. 2 x 'U' Peg Grass Anchors and Lock on Net Hooks. Independently tested to BS 8462:2005. 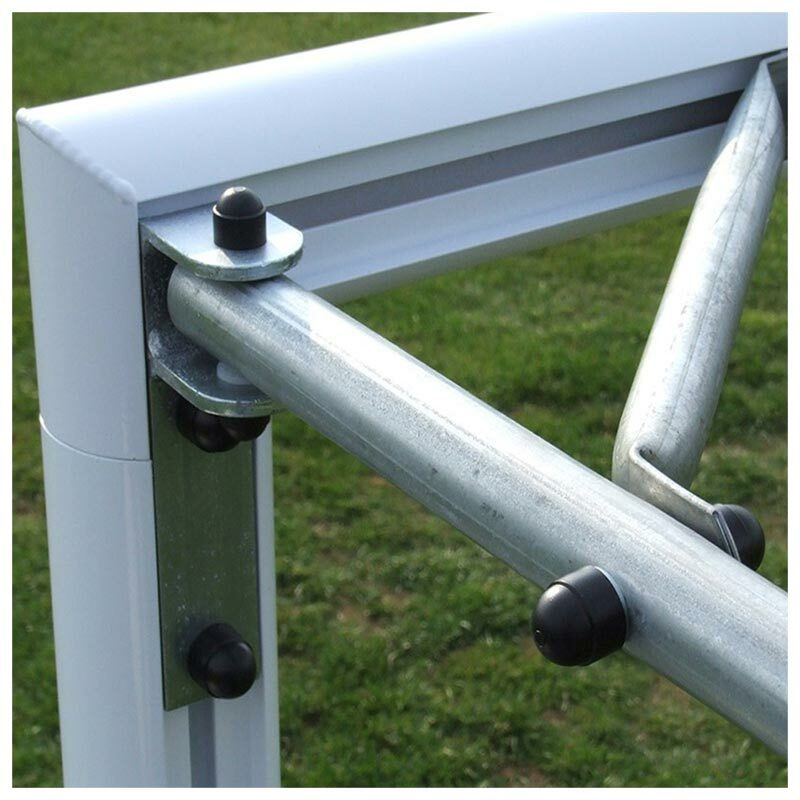 Uprights and crossbars are manufactured from 80mm diameter x 2.5mm thick aluminium. Complete with 32mm x 1.5mm thick steel full back supports. Complete with 'U' peg anchors and lock-on synthetic net hooks. Welded corner joints with an internal 8mm thick steel plate for added strength and aesthetic appearance. 3.66m x 1.83m (12' x 6') - 85kg per pair, 42.5kg per single.